This entry was posted in Recent Posts and tagged Adoration, Clouds, Desire, Fantasy, Inspiration, Life, Love, Photography, Pleasure, Poetry, Poets, Relationships, Sky, Writing. Bookmark the permalink. Where’s the ‘love’ button? Need a ‘love’ button! 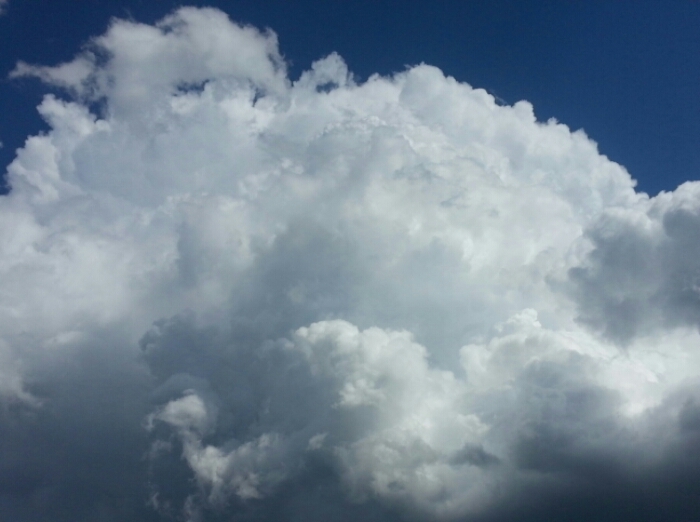 Billowing…that word is just so glorious. “The sails billowed beautifully as the ugly professor sailed the sea.” How’s that? It was spicey, but I didn’t like the way you described yourself. Ooo, this one is nice and wicked too, but I preferred your sentence with the professor in it, Duke. Again!! It has to be that way, you know! You have a billowing heart, Duketh. See?! Now do it! Again, my dear. I’m running out of literature! Umm… “The willow billowed.” How’s that? No you haven’t. Dig deeper. Well, actually, that is nice. I sorta liked having you in there somewhere…but fine. Be done. That seems likely doesn’t it? That my hat would blow off? Well, I suppose it does. I mean you do usually write of such things happening. Thinking I should buy you a smaller hat…is your brain shrinking? Or do you prefer your hats big? Actually, the ones I have are rather tight. Because your brain is so big! I should take you shopping for a hat with a better fit. Yes, I fear we should do that. Let’s get a Patriots baseball hat. Shooting them might get us in trouble, Duke. You might? What happened? You told me you liked my Packers. I do–mostly! However, this professor does have things against them! They beat the Pats and Steelers in the SB! Yes they did….I hope they play well this year. Your words are a welcoming wrap, Aud. Ah, so lovely as I take off for Boulder. Thanks, Audrey. Perfect, Shari. Safe travels!!! ♡ Thank you.. The cloud cover looks so massive. They really were, Leslie. Beautiful! Is it that late? Or that early? I can’t must write a poem. I cannot…but I shall try. Sing to me. Let’s go together!!! Hold my hand.. 🙂 Have a great weekend, my sweet friend.